Pocitos Beach Uruguay is one of the favorite coastal areas in modern day Uruguay for both the people of Uruguay and visitors alike. This neighborhood is set along the edges of the beautiful Rio de la Plata and this is a neighborhood where the sandy shores of Playa Pocitos have become the definite star. 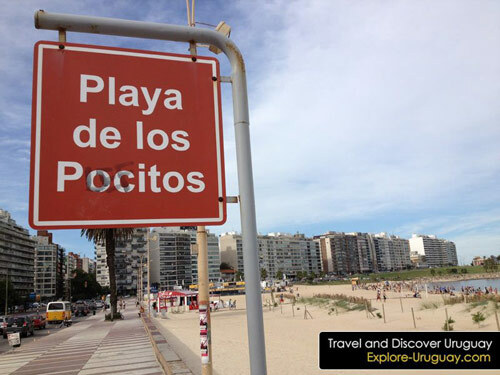 When you visit this beachfront location in Montevideo Uruguay you can stroll along the boulevard and enjoy the sights and sounds that you will find only at the friendly shores of this beautiful beach in Uruguay. The throngs of crowds answer the siren's call of this lovely area and you will find many people wandering the streets and sandy shores every day. 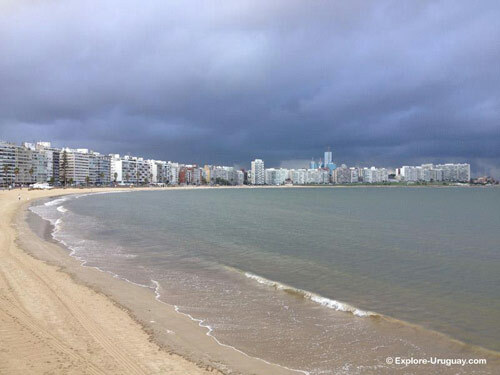 Even inclimate weather in Uruguay does little to dampen people's enthusiasm for spending a day along the shores of the Rio de la Plata. 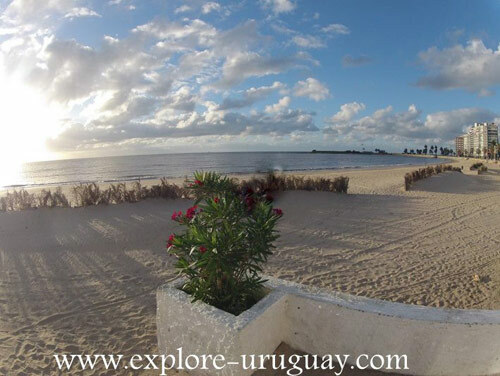 This upscale setting around Pocitos Beach Uruguay has made the area quite popular for all ages. There are many tall high rise developments in the Pocitos Beach vicinity and tenants can enjoy their view of the Rio de la Plata as well as check out the sights at the beach. Near this popular beach there are 2 new and very modern shopping malls that are attracting numerous customers every day. People can choose to shop at the Punta Carretas Shopping center or at the Montevideo Shopping mall. Tourists usually want to tour the malls, local residents are happy to have such a variety of stores close at hand and of course the teenagers like to meet up with their friends at the shopping mall and enjoy a day of freedom in the relaxing and comfortable environment that they find there. Pocitos Beach is host to a number of beach sports championship tournaments including soccer, swimming and volleyball. Less than 15 minutes driving time from the heart of Uruguay's capital city, the convenient location and friendly atmosphere of this resort appeals to nearly everyone. Within a distance of 10 miles or less, tourists and local residents can easily reach the shores of the beach from downtown attractions, such as the Zona America, the Postal Union, the Mercosur Building or even the Presidential Building. 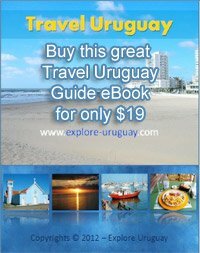 Located just blocks away from the beach you will discover Uruguay attractions such as the Montevideo Golf Club and a number of locally owned stores and restaurants. Places such as Romeo & Julieta Italian Cuisine, Petra Buffet and El Entrevero BBQ are quickly becoming dining favorites of the crowds that flock to Pocitos Beach. While Pocitos Beach is known as a favorite gathering spot for those whose ages are 25 and under, this area is equally exciting for the older population. The Boulevard near the beach is home to many upscale shops, boutiques, cafes and restaurants. The ambience and unique offerings that are available at these stores draw crowds of curious customers throughout the year.